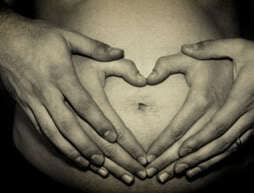 Pregnancy is a time of great emotional and physical change. It is a time when caring for your health and the health of your unborn baby is more important than ever. Chinese medicine is a safe, natural, and effective way to support your body and help you meet the unique demands of pregnancy. Lindsay Staker, L.Ac., has prior training and experience as a midwife and birth & postpartum doula. She has a strong passion for helping women throughout the process of pregnancy, labor, birth and postpartum.